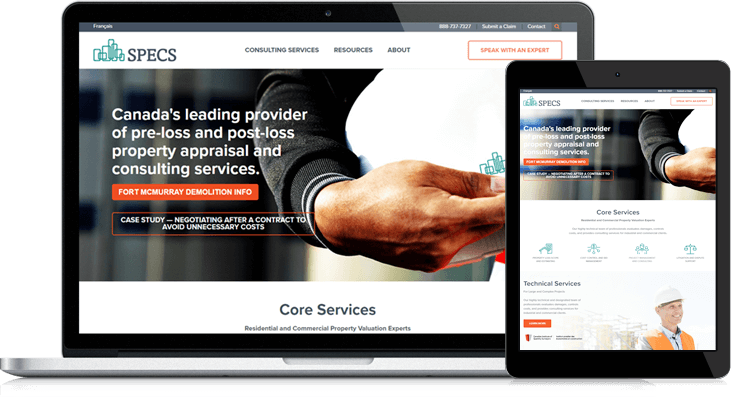 While SPECS wanted to retain its position as one of Canada’s leading providers of property appraisal and insurance consulting services, the company was reinventing itself with a new brand identity. It was also starting to supplement its core services while offering new services to new target audiences. That meant the existing website simply wouldn’t do.